Best Industrial Furniture in Atlanta! 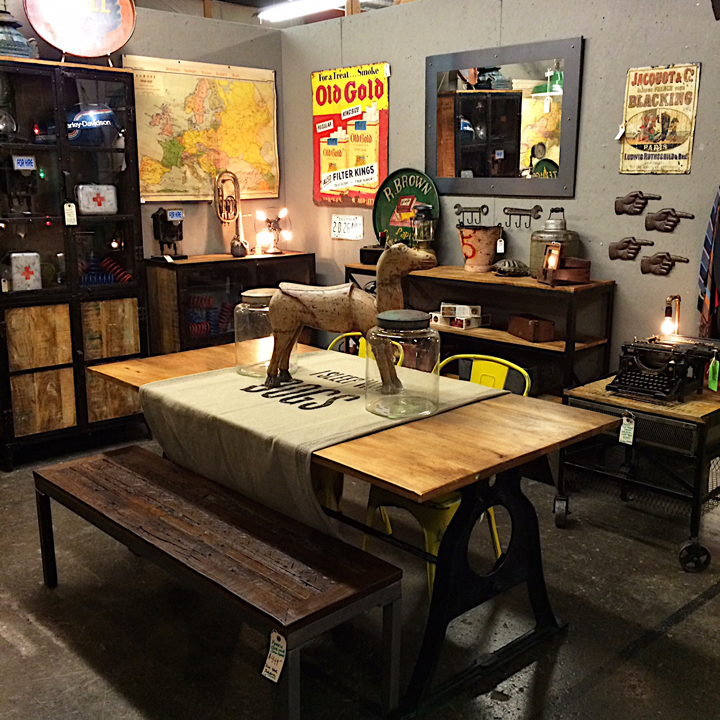 You are here::Home/Best Industrial Furniture in Atlanta! Kudzu is proud to have one of the best collections of industrial furniture in Atlanta. We were one of the first home stores to be excited by the emergence of industrial and repurposed furniture and years ago began to search out unique vintage pieces. We continue to always have a good selection of true vintage industrial, but today we have complemented our vintage industrial with re-manufactured and reproduction pieces, as well as original new designs. We invite you to come in and discover how industrial can be a part of your decorating mix. At Kudzu, it’s our opinion that no home, office, or loft is quite complete without some steel, oak, and iron. And sometimes, the rustier the better!